Nikkanen had somewhat slow start to the game against Switzerland. As expected, he did a good job at the own end, showed solid work ethic, gave good, solid and crisp passes, and read the game well. However for the first two periods or so he did nothing amazing. He wasn’t bad but his performance was not quite as good as expected and I would have liked to see better skating and intensity in the first 40 minutes. While he somewhat struggled finding open space during the beginning of the game, he really got his feet moving and game going during the third period. He showed excellent puck protection skills many times and he gave constantly solid key passes. He gained more and more confidence as the game progressed and eventually he gave three assists during the third period, two of them being absolutely fantastic primary assists. Nikkanen is a smart centerman and I’m really eager to see if he can perform as well as he did during the last period for the rest of the tournament. Four assists against Switzerland is an excellent start and hopefully he can continue well from here. Nikkanen only had a limited role against JYP. However he was the only one from his team to score in a shootout succeeding with a powerful wrist shot. Nikkanen played in a fourth line in a defensive role. He did not get offense going during the game but he did a very good job at the own end. Off the puck, the young centerman read the play well and his positioning was solid. Also his checking game was effective as he was able to strip of the puck many times. While Nikkanen has frame to fill up, he has enough size for Liiga. His skating is also enough for Liiga level even though there is a room for improvement. The biggest problem to me is that he doesn’t have enough intensity in his game yet and that’s why he wasn’t able to generate offense. I got multiple views of Henri Nikkanen playing in the U17 World Hockey Challenge. Nikkanen was Team Finland’s 1st line center throughout the tournament scoring five goals and adding four assists in six games. Nikkanen showed very high hockey IQ and good awareness in both offensive and defensive plays. Nikkanen was constantly driving the play when he was on the ice, and he has the ability to control the tempo of the game. While his top speed is not quite high-end, Nikkanen is still a good skater and has enough explosiveness to hold his own in the international level. He also showed his smooth puck-handling skills several times throughout the tournament. As a big player, Nikkanen knows how to use his size and is a dangerous player in front of the net. He also has a relatively good wrist-shot, which combined to his high hockey IQ is a constant threat in the offensive zone. 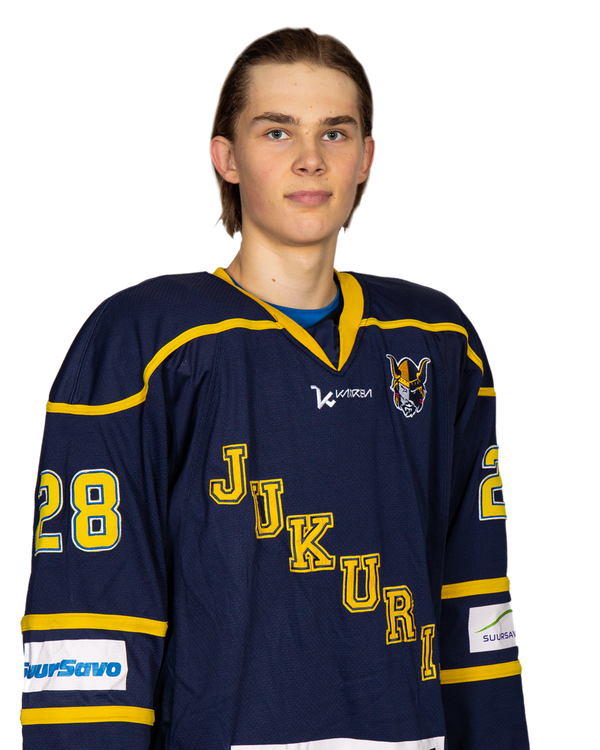 Nikkanen wasn’t able to get into the scoresheet but he played very mature game despite being the youngest player of his team. He is very reliable player at the own end who reads the play well and who shows really good hockey IQ off the puck. With the puck relied on playing simple game but in this game his passing wasn’t very precise. Nikkanen has the size and he knows how to use his big body while protecting the puck. He also showed that he has smooth hands couple of times. However he stayed on the board quite a lot and I would have liked to see him going more to the net. Once he did that, he drew a penalty and almost got really good scoring opportunity. Overall, jis level of play is very impressive for a player of his age. Nikkanen is an intelligent, smooth skating center who had a major impact on Finland’s first line. He has very good stickhandling skills and created puck possession through smart decisions. He scored a beautiful backhand goal from a sharp angle in the third period, displaying silky smooth hands on that occasion. He was strong defensively. His reading of the play and supporting of teammates were above and beyond a 15-year-old player. Won’t be eligible for the NHL Draft until 2019 but has plenty of potential to be a big-time prospect.